This time of year is a good time to take a cooking class. It's cozy to gather around a kitchen as the weather turns cold. A class can be fun to take with a friend. And, of course, the winter holidays are big cooking months for many people. Autumnal cooking zen: Take a moment to watch as Cooper Nelson quietly makes cider donuts in his Delmar kitchen for his Silently Cooking YouTube channel. See also this profile of Nelson from last year by Deanna Fox. 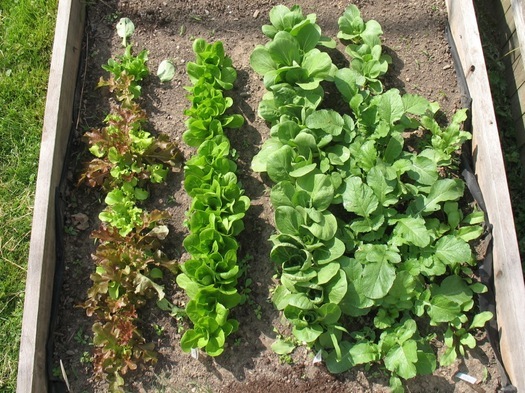 We're just about reaching the height of the summer growing season here, which means farmers' markets and backyard gardens will be overflowing with all sorts of produce. 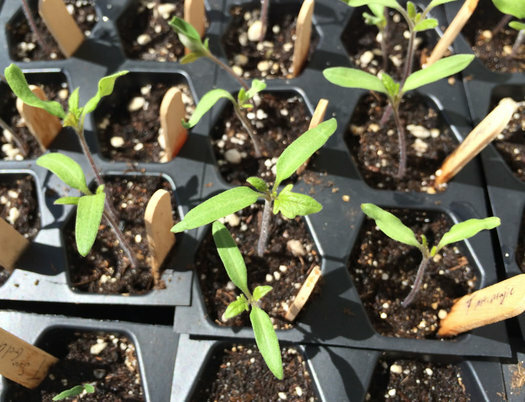 There will be tomatoes -- many, many tomatoes. 1. Subsist on a diet made up totally of zucchini. 2. 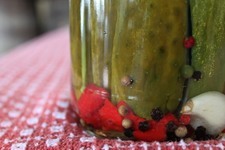 Can and preserve those tasty veggies. If each month had a food that represented it, February would get chocolate, July would get sweet corn, and October would get apple pie. There are plenty of foods symbolic of autumn, but nothing really says October like a warm apple pie from the oven. Pie can be intimidating for those new to the experience of making one, especially when everyone has their own ideas on what makes the perfect version. Regardless of what sort of apple pie you're making, there are a few rules you should be following to make a good one. Don't worry, I'll walk you through them. 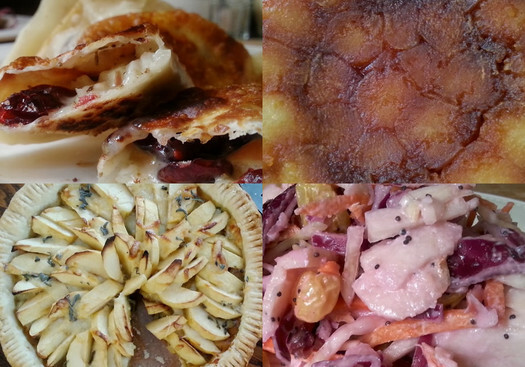 And I've also included a few recipes to get you started. Cookbooks and scrapbooks tell us a lot more than just how a dish is made. 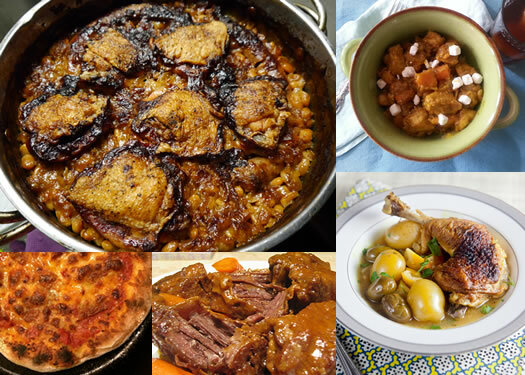 What recipes are included often give us an indication of the family's ethnicity and how that ethnicity was retained over generations through the continuation of customs and celebrations. Using her knowledge of Dutch customs and food history, food historian Peter G. Rose will discuss examples of such recipe/scrap-books, dating as far back as the late 17th century and ranging to the 20th century that contain Dutch recipes. They show the continued identification with the forebears, but also the gradual assimilation. Photographs of pages in cookbooks as well as 17th-century paintings will illustrate the talk. The audience is encouraged to bring old family cookbooks/recipe boxes -- a discussion of the importance of saving such items is part of the program. Rose is originally from The Netherlands and has written many books about the Dutch and their influence on the food and culture of the Hudson Valley. The talk is Thursday, September 29 at 6:30 pm. It's $5. 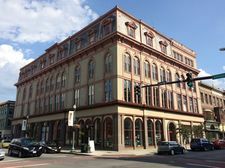 Here's a new cooking class series: Tech Valley Taste Makers at the Tech Valley Center of Gravity in Troy. + November 16: Sides to be Thankful For with chef Ric Orlando, owner of New World Bistro Bar, Albany and New World Home Cooking, Saugerties. Monthly classes (fall/winter and spring/summer) are taught by masterful chefs and artisanal food makers. Each teacher demonstrates the techniques for making delicious specialties at home, educates about culinary art & science and offers tastings with beverage pairings, both alcoholic* and non-. Proceeds, after expenses, are shared equally between the teacher and TVCOG's fund to fully equip its teaching/making kitchen. Class prices range from $37.50-$57. There's also a season pass for $170. Pre-registration is required. Meathead will debunk the misinformation that surrounds Grilling and Barbeque techniques in a talk called "Old Husbands' Tales: BBQ & Grilling Myths That Need to Die." 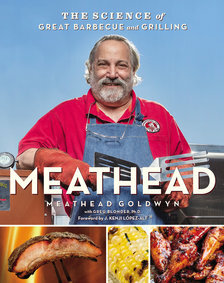 Meathead's book is a fount of information that will help you achieve succulent results every time, explaining why nothing is more crucial than understanding the science behind the interaction of food, fire, heat, and smoke. This is the definitive guide to the concepts, methods, equipment, and accessories of barbecue and grilling. If you've ever looked up info online about making barbecue at home or some about grilling, you've probably come across Goldwyn's popular site AmazingRibs.com. Goldwyn's new book comes highly recommended from J. Kenji Lopez-Alt of Serious Eats The Food Lab fame (he also wrote a forward for the book): "Far more than a recipe book alone (though there are tons of bulletproof recipes), this text will teach you the hard-tested fundamentals of outdoor cooking, giving you the confidence to cook anything, even without a recipe. The myth-busting and equipment tips alone were enough to get me hooked." The event at the HGS Home Chef is Sunday, June 12 at noon. Tickets are $35 and available online. 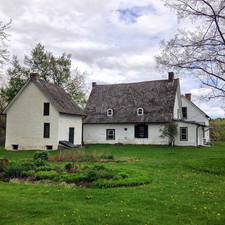 HGS Home Chef -- which is related to the Hillsdale General Store -- is in Hillsdale, New York in Columbia County. The sun is shining. Birds are singing. Buds are on the trees. Spring has returned (again). So now is a good time to be giving some thought to garden plans for the spring and summer -- whether it's just a few flowers, tomatoes in containers on the porch, or raised beds in the backyard. Toward that end there are a whole bunch of garden classes / info sessions coming up around the area, on topics ranging from vegetable gardening to composting to garden planning to mushrooms. Known for a special dessert? Are your kids or grand-kids always asking for your recipe?? Is your dish always requested for summer BBQs? 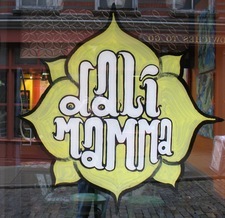 How: Contact Katrin@Dalimamma.com with your name, contact info and recipe and we'll be in touch! We'll work together to market your class to the community, set up the kitchen, provide teaching tips and be your assistants during class. The internet has opened up all sorts of ways to learn how to cook -- websites, recipe blogs, how-to videos -- but there's something special about being able to actually work alongside someone as you learn how to make a dish. And for the person sharing a recipe or technique, teaching someone is a way of preserving that bit of culture or shared history. The coming weekend is the last Maple Weekend for 2016. Sure, you could purchase maple syrup year-round at local markets, but there is something charming about traveling to a local sugar house to buy that gallon of syrup to get you through the year. It feels so quintessentially Upstate. Pancakes are great. Arguably, waffles are better for the syrup-lovers among us. (All those little wells for syrup!) But there is more to maple than just topping your breakfast food. The smoky, rich flavor from maple syrup is taste that is hard to replicate and lends to the overall character of many meat recipes, side dishes, or sweet endings. Here are a few ideas -- beyond pancakes and waffles -- for using all that maple syrup. Wondering if you guys could do another post on CSA's this year...? I know you did one in 2009, I remember every time I search for updates and that comes up. And the Times Union did something in 2013. But this seems like a growing thing, and (I hope) there have been some new ones and some changes to old ones? CSA stands for "community supported agriculture" (people also refer to them as farm shares). The way they basically work: People the farm upfront at the start of the growing season and then they get a batch of farm produce at some interval (usually weekly) throughout the season. This is currently prime time for CSA signs-ups, and many of them fill up. As those links above indicate, there are a bunch of CSA options in the Capital Region. So... have one you'd recommend? Any advice on picking one that's a good fit for a household? Tips on working through all that produce each week? Thoughts on sharing a share with another household? If you have suggestions for any of those questions, please share! And as always, a sentence or two about why're suggesting something can be a big help. Come meet other enthusiastic cooks in the region, get rid of some of your lesser-used kitchen tools and equipment or pick up something you've been looking for. All kitchen items must be in good working order and offered for free. The Capital District Free Kitchen Exchange started as a public Facebook Group that connects talented (but financially strapped) cooks in the 518 area with free kitchen appliances and goods that others are no longer in need of anymore. 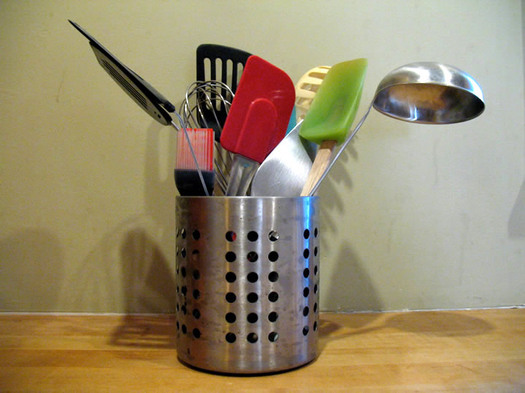 If you do a lot of cooking (and maybe even if you don't), you probably have some sort of kitchen tool stuck in the back of a cabinet that never gets used. The pasta machine you got that one year after declaring you were only going to use homemade pasta. The crockpot that seemed like a solution for easy dinners. That extra grater that always sits off by itself, wishing that someday it could meet nice a cheese... but never does. The swap is free to attend but registration is required (see the first link above) -- you can just show up, see the organizer's comment below. Even in this winter of non-winter, February and March can be a good time to take a cooking class. It's a chance to gather somewhere warm, learn something new, and eat something good. 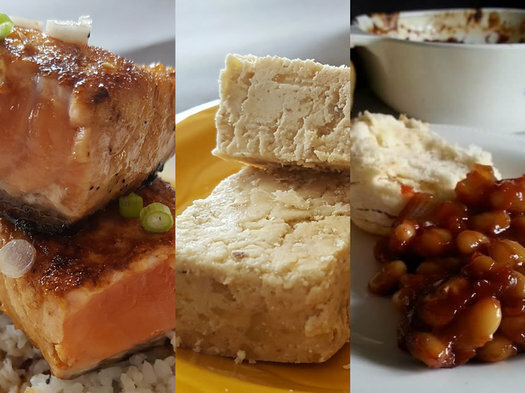 So, here's a new a batch of cooking classes over the next few months that caught our eye -- and maybe you'll find them interesting: From Valentine's Day treats, to sausage making, to tagine, to ramen, to sushi, to pancakes. Same recipe, two different interpretations. 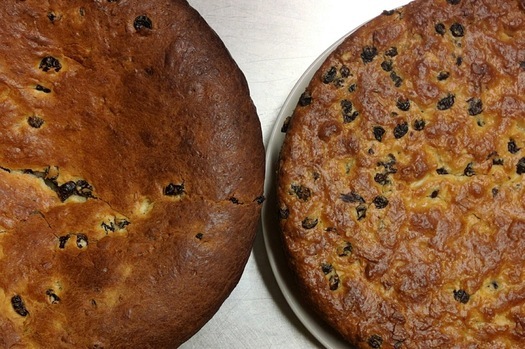 Last week we mentioned that 1828 recipe for "Albany Cake" (thanks, Pamela! ), which prompted a a discussion about some of the quirks of the recipe and what the cake might be like. Well, Greg Kern -- the pastry chef at Peck's Arcade in Troy -- saw the recipe and decided to actually try it. The popular From Scratch Club food swap returns to the Oakwood Community Center in Troy this Sunday, October 11 with a both a swap and a visiting author. Food is never just food. It's memory, family, love, loss, and everything in between. 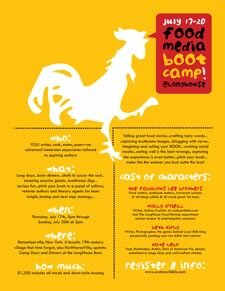 Come early to this weekend's food swap and join Alana for an inspirational workshop on translating tastes into words. Open to beginners and seasoned writers alike. Come hungry and ready to write. Bring a notebook. 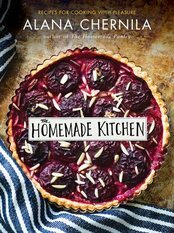 The class is Sunday from 1-2:30 pm and it's $30 to attend ($50 with a copy Chernila's The Homemade Pantry). There's a sign up page on the From Scratch Club website. Sad but true: There is such a thing as too much apple pie. 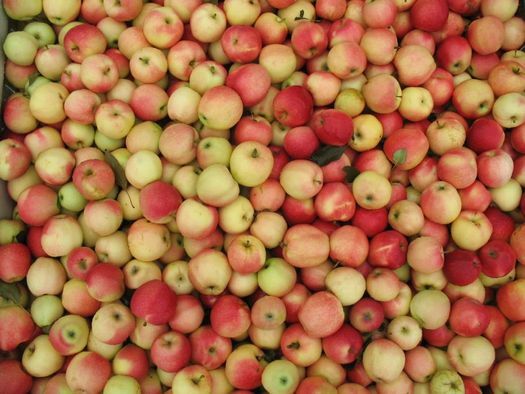 New York State produces 29.5 million bushels of apples annually, with more than half of that yield sold as fresh apples (according to the New York Apple Association). With numbers like that, chances are good if you are reading this, you have recently made a trip to the orchard or are about to. And, likely, you'll have a few errant apples left in the orchard bag or crisper drawer of the fridge. 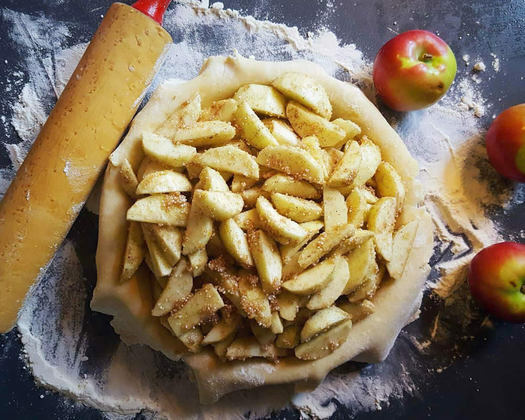 If you just can't stomach another pie or crisp or batch of applesauce, fear not: Here are four recipes to save you from the apple overload. You can feel fall in the air and out thoughts are turning back indoors, toward the kitchen and the warmth of the stove. We are into the thick of blueberry season around the greater Capital Region. And as we've mentioned before, blueberries are just about our favorite pick-your-own crop because they're easy to pick (on bushes about waist high), relatively cheap (usually between $2-$3 per pound), and they freeze beautifully, so you can stock up for later in the year. 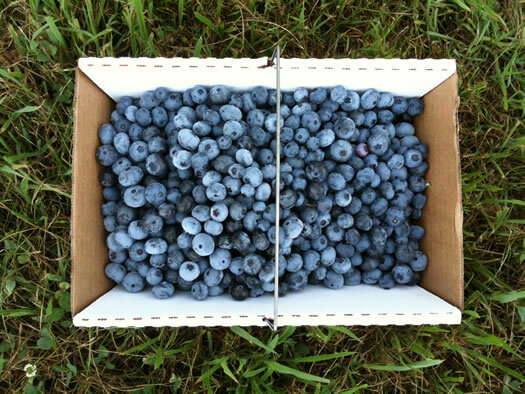 There are a handful of farms around the Capital Region that offer pick-your-own blueberries. Here's a list with some info. And, of course, if you know of a place that should be on the list, please share. The doldrums of winter have settled in. I've got cabin fever, and these long, freezing days are starting to wear on me. Winter is great in that I can snuggle in front of the fire in fleece-lined leggings, ugly (but cozy) sweaters, and put whiskey in my tea with reckless abandon. But the best way to beat winter is from the inside out. I've been wondering what other cooks in the area have been eating to get through the winter. So I asked! Here's what winter tastes like a handful of kitchens around the Capital Region. We saw that Deanna had made this for a party and it looked like an idea that needed to be shared. So, we asked her how to make it. I recently hosted a group of foodies at my house for brunch to celebrate a good mutual friend. Hosting brunch can be intimidating. Hosting brunch for people who seriously know their food? Even more so. This was no time to hold back. 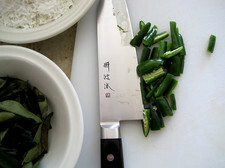 This is when the big kitchen guns come out: the no-holds-barred, all-stops-pulled kind of cooking. 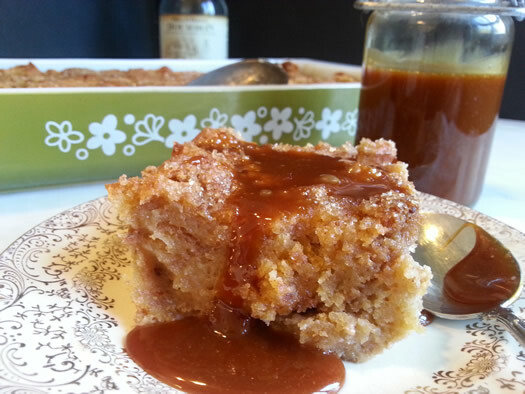 This was the time for cider donut bread pudding. The cast of characters include: the fabulous Lee brothers who have written the James Beard award winning cookbook The Lee Bros. Southern Cookbook; Molly O'Neill, the famed James Beard award winning author; Diva of America Pie, Kate Lebo (whose cookbook Pie School: Lessons in Fruit, Flour and Butter will be coming up this September); writer, photographer and genius behind Local Food Milk Blog, Beth Kirby; and Kristen Miglore, the executive editor of the website Food52. The price is steep -- $1,250, which includes all meals and dorm-style housing, or $900 if you arrange housing separately. (We also hear you might be able to swing a discount by posting about the camp on social media outlets -- be sure to ask.) But if you're interested in writing about food, and making something more out of what you're writing, it might be worth considering. If you have questions or would like more info, email Ali Rea-Baum: ali@cooknscribble.com. 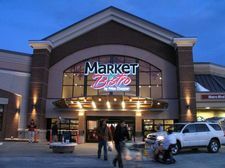 Price Chopper has started a series of cooking classes at the fancy pants new Market Bistro in Latham, which includes a large instructional kitchen. The schedule posted includes a range of topics, including baking, grilling, and a few different cuisines, as well as a mix of demonstration and hands-on classes. Cooking classes seem to be pretty popular in this area. A few other places that offer them: Different Drummer's Kitchen at Stuyvesant Plaza, Gio Culinary Studio in Voorheesville, Spoon and Whisk in Clifton Park, the Arts Center of the Capital Region in Troy, Honest Weight in Albany, and Healthy Living in Wilton. The Palace announced today that America's Test Kitchen Live -- a stage show from the popular PBS TV cooking show -- will be at the theater April 13 at 3 pm. Tickets go on sale to the general public Friday (February 28) -- they're $35 and up. As host of America's Test Kitchen for the past 14 seasons, as well as editor of the popular Cooks Illustrated magazine, Christopher Kimball will share his strong and entertaining opinions on culinary trends and cooking equipment. He'll take questions from the audience as well as test their knowledge of unusual ingredients in an interactive segment during the live show. 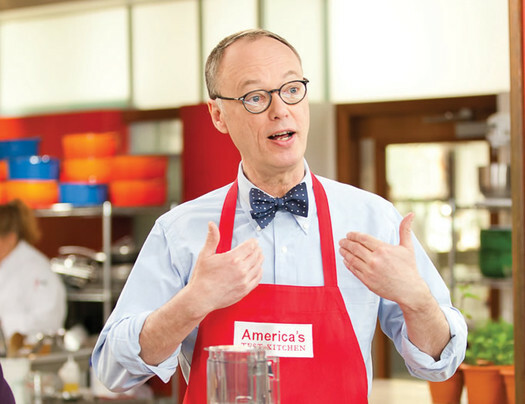 America's Test Kitchen Live with Christopher Kimball will deliver a fun and informative evening for fans and foodies around the country. Dan Souza is a senior editor of Cook's Illustrated and an on-screen test cook for America's Test Kitchen. In addition to his work on Cook's Illustrated, Dan has contributed content to a dozen America's Test Kitchen cookbooks, most recently executing and editing the test kitchen experiments for The Science of Good Cooking (October 2012). Dan cut his culinary teeth as an apprentice in Hungary before graduating first in his class from the Culinary Institute of America (CIA). After cooking in restaurants in New York City and Boston, however, he found his true calling: applying good science to create great recipes for the home cook. The Palace event also has a VIP ticket that includes a book and meet-and-greet with Chris Kimball's bowtie. It's $85. Sarah Fish taught herself to cook. The owner of The Hungry Fish Cafe in Troy always thought she'd be a writer, until health issues and financial hardship changed her path. 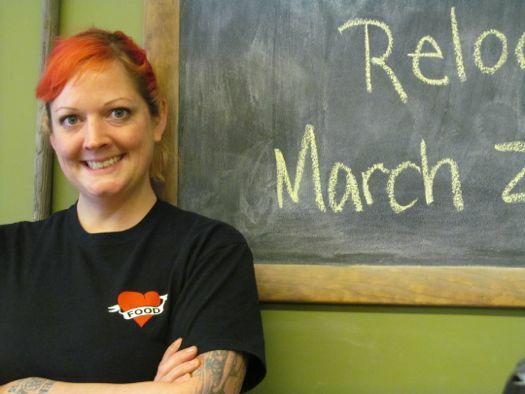 Since then, Fish has been named a Rising Star Chef at the Albany Wine and Dine for the Arts Festival, her cafe is gaining popularity, she's getting ready to buy her own building, and she's teaching cooking classes at The Arts Center in Troy. 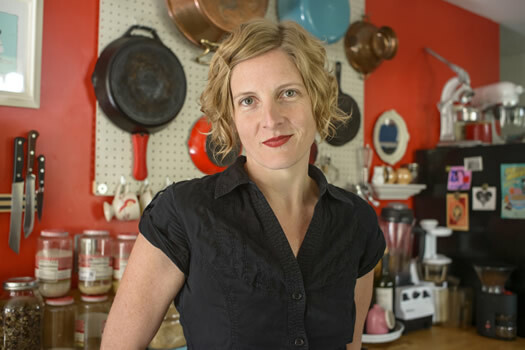 Fish is committed to using local ingredients in her cooking for health, flavor and strengthening the local community. This week, Fish took time to talk with us about a planned appearance on The Food Network, why breakfast is more exciting than you realize, and how a garden led her to the kitchen and changed her life. Sure, you could eat this chili from a bowl. 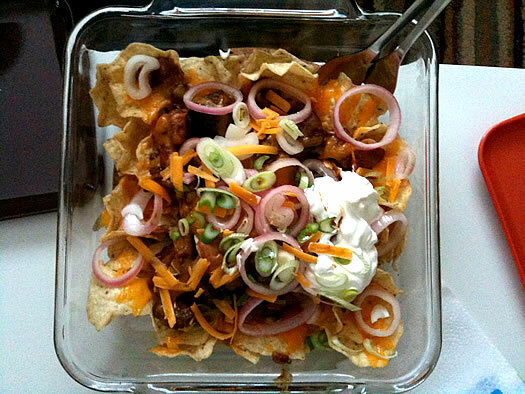 But why would you do that when you could have nachos? Because it's the weekend and the middle of winter -- and a bunch of people mentioned that cooking helps them shake off the January gloom -- here's a recipe for ancho pinto beef chili. It's warm and rich and meaty -- even though it's mostly beans. It's also easy to make. And it makes the house smell fantastic. This could be fun: The Confectionery is offering a holiday cookie decorating party hosted by its pastry chef, Starla Bradshaw. The event is Sunday, December 15 from 4-6 pm. Tickets are $20 ahead (available at The Grocery) / $25 at the door. Blurbage: "Cookies and decorating supplies will be provided, as well as your choice of a glass of mulled wine or sipping chocolate." Getting together with some friends to decorate cookies and have some wine could be fun wherever you do it. But we suspect there could be some interesting twists for these cookies. Bradshaw has been using some unusual flavors in her creations for the Confectionery. Example: macarons in flavors such as pine (ground pine needles and sugar), bee pollen, charcoal and smoked vanilla bean, and spirulina. Oh, and the Confectionery's patio now has a retractable glass roof. 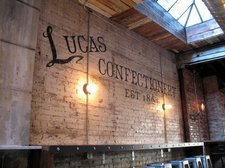 The Confectionery was a stop on the AOA Historic Bad Boys, Broads, and Bootlegger tour. We've pulled together a list of upcoming cooking classes that look interesting or fun a few times before and people seem to like it. We interrupt our regularly scheduled programming (whatever that is) for this moment of cooking bloggery. One of the great things about this time of year is the almost overflowing bounty of good local produce. There are all the vegetables, sure. But the thing I really associate with summer is the fruit. Strawberries early in the season, cherries, peaches, blueberries and raspberries -- and then just as summer's ending, apples. 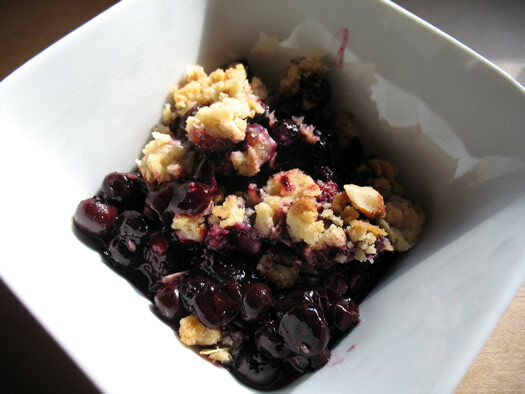 And when we have an abundance of summer fruit, it's time for crumble. It's easy to make. Here's how. I'd love to do a couples cooking class but don't know who might offer classes, and especially for couples? Let me know if you or your readers have any tips! There are a lot of cooking classes around the Capital Region -- more than you can shake a whisk at. We haven't noticed any recently that were couples classes, per se -- but maybe some could work that way. Also: places that offer cooking classes -- hey, maybe this is an idea for you. So... got a suggestion for Anonymous? Please share!